The history of Free Church life in the village of Borstal began with the arrival of Mr and Mrs Tong to their cottage at 3 Borstal Place in Borstal Street in 1849. John Tong, an agricultural labourer, was born at Charing, Westwell in Kent in 1804 whilst Caroline, his wife was born at Challock, Throwley or Thrainty in 1810. They had six children; Stephen, Mary, John, Charlotte, Harriet and Eliza. The last two children, Harriet and Eliza were born in Borstal and christened in St. Margaret's Church, Rochester, since there was no Parish Church in Borstal until July 1879. At this stage there appears some uncertainty about the initial place of meeting. A Diamond Jubilee Souvenir booklet states. "In 1849 these conditions (i.e. in the hamlet of Borstal) attracted the attention of the Zion Baptist Church, Chatham and with a view to their improvement an afternoon Sunday School and an evening preaching service were started in a cottage at Cobden Place, occupied by a Mr Austin. About three months later these were removed to a more commodious room in the house occupied by Mr J Tong, in Borstal Place, and here they were continued until they were removed to the Institute in 1881." The late Mrs Hurdman maintained that it was her grandmother, Mrs C Tong who initiated the work whilst the late Mr CJ Sims maintained that it was Zion Baptist Church, Chatham. The important fact is that the Austin family ably assisted Mrs Tong in those early days. Until 1870 Borstal consisted of Borstal Street, Manor Lane and Sidney Road with the Prison population up on the hill which numbered about 200. Immediately Mrs Tong, with her strong faith and determined character became everything to everyone in good works, nurse, home-help, teacher and preacher by example and testimony so that her Lord might be honoured and praised. The late Mr WR Craske writes, "It was largely owing to her influence and self-denying labours that the cause of Nonconformity was maintained through times of opposition, depression and stress. For nearly 40 years she was the centre of the religious liberty of the district and her example, more than her words, helped it forward." Every Sunday she filled her cottage with children, some perched on the old mangle and some on the stone floor, occasionally favouring them with oil lantern stories of Jesus. Meetings were also held in a cottage at Brambletree. In the 1860's Samuel Barker Booth opened up the chalk workings at the bottom of Manor Lane, later at Brambletree and also across the river he bought the Cuxton/ Wickham works. Medway river chalk made excellent cement. The Booth family lived at Effingham Lodge, Bickley. A couple now moved into the village and eventually lived in the Manor House at the bottom of Manor Lane. This couple was the late WR Craske, J.P. and Mrs Craske. One of the more remarkable characters in the life of Borstal was Mr Craske. He came to the village as a clerk for The Booth & Company Cement Manufacturers but then quickly became works Manager and finally owner of this Company until being bought out by the Associated Portland Cement Manufacturers -A P C M. Mr Craske also owned a fleet of barges and a number of farms. Mr Craske was a Congregationalist and his wife, born at Stoney in Stratford was a Baptist. These two people became keen workers in the Nonconformist activity and until their deaths fully supported this cause. On some Sunday Evenings Mr Craske would attend the Evangelistic Services held in Rochester Cathedral. The Booth Company under the eye of William Craske now employed most of the men in the village. These two people helped many others when times were especially hard, giving families free milk from their farms and a bucket of coal from the work’s tip. Samuel Barker Booth, a man of quiet and genial manner, made a presentation to the new Parish Church opened in 1879. For the sake of his employees he planned the erection of ‘The Institute’ which is now Borstal Baptist Church with a billiard room and a small caretaker's flat downstairs but the hall upstairs for village events. Being a churchman the hall was designed so that should any Nonconformists wish to hold services, they might do so. Samuel Barker Booth died on the 3rd February 1881 before the building was completed. In 1881 Mrs Tong moved her Sunday School and Evening Service into the institute, using both halls for Sunday School and the upstairs hall for Evening Services. At this point it is worth mentioning a quotation from the Revd. Arthur Cooper Marsdin, Vicar of St Matthew's Parish Church, in his magazine for April 1903. "I think it will not be out of place to mention the constitution, object and purpose of this Institute. The giver was a Churchman, Mr Samuel Barker Booth, who conveyed it to six Trustees and their successors; to be used for promoting the religious, moral, social and intellectual welfare, and the rational recreation of the inhabitants of Borstal. The large Upper Room must not be used on the Sunday for any services, addresses or meetings in exclusive connection with any religious body." "and apart from this, has as a Churchman a perfect right to share the Institute. As I have never had the opportunity of meeting the Institute workers in the schools, services or societies I am unable to speak other than in a very general way of the effect upon the life and character of those for whose religious welfare they work. I admire the effort of those men who Sunday by Sunday come all the way from Chatham to teach in the Sunday School, when some of our church people will not walk across the road from the villas to help us. I respect the enthusiasm (so rare a quality in these parts) of those who have just carried out improvements at the Institute, and I have had opportunities of seeing how faithfully Mr Orwin visits those who are not members of the Church. There should be a great bond of sympathy between all those who are working in the name of the master for the salvation of souls. Those who are striving to effect for good, the religious welfare of the people of Borstal - this small portion of the Lord's great Vineyard - need not impede each other's work by digging in the same corner, and both cultivating the same plant, while the rest is as a wilderness." "To be old is sometimes a matter of regret but to be part of a Sunday School that started 60 years ago in a day of small things and has continued to flourish for so long a period is a just cause for pride. If I have one ambition greater than another for the school, it is that you who are today in our classes shall grow up to carry forward the work. In all service rendered from the heart there is joy - it brings its own reward." We must now mention the appointment of a Leader for the Institute Sunday Services and Pastoral Care of the congregation. In the article written by the Vicar of St. Matthew's, the Revd. Arthur Cooper-Marsdin says - "A Sunday Services Committee was formed 2 from C of E, Wesleyans, Congregationalists and Baptists. This committee also appoints the evangelist." The actual date of the first appointment is not recorded but it is possibly 1884 when Mr ER Nearn became ‘The Evangelist’ and served until 1896. His wife had a small shop in Borstal Street which she eventually sold to the Misses Gibbs. (Of these two sisters, one large and the other small) - the smaller sister married and became Mrs Doig who attended worship in the recent 60's until she moved away. During that time she generously supported our work. From 1896 until 1900 Mr James Miller from London succeeded Mr Nearn. He was a very keen evangelist and soul-winner but the fact that he was a bachelor did not go down too well in the village. Mr Miller therefore married a very good lady and finding that he could not support his wife on the small wage, they moved to a better position in south London. In 1900 Mr James Orwin, a retired prison officer, was appointed. Along with his wife they served until 1920 and excelled in their visitation work among the people of Borstal. 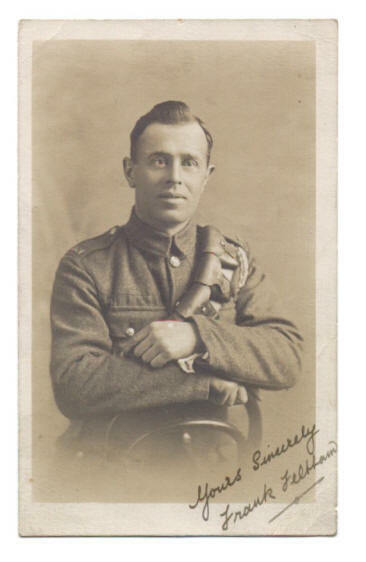 Mr Orwin was well supported by his family and continued in the work through the difficult war years from 1914-1918. He was a great inspiration to young men including Frank Feltham, whom he trained for the leadership. Following his army service in France with the Royal Garrison Artillery, Frank Feltham was stationed in Germany with the Army of Occupations on the river Rhine. Returning from the war service Frank Feltham served from 1920 to 1961 as Mission Leader until he retired to Tankerton. Mrs R Tooley, daughter of Mr and Mrs WR Craske said to me, "The Institute owes a greater debt to him than to anybody else. One of the tasks of the Evangelist was to provide for the Ministry at the Services. Among the many who have served over these 145 years was Colonel Plummer, the Governor of the Borstal Prison, a great evangelist who would always fill a gap if the preacher failed to arrive. Frank Feltham heard two people leaving a service in the Institute and confiding in each other, "We wish we had a place of Worship that was our own." He was determined that he would work to achieve this and by the grace of God did so in 1929. The leaflet celebrating that historic occasion is shown below. Lady Sharp of Maidstone (Famous for Sharp's Toffees) reopened the Institute as Borstal Gospel Mission Church at 3.00 p.m. on Saturday afternoon, 19th October 1929, with singing led by Strood Gospel Mission Church Band and the Sermon preached by the Revd. FJ Feltham of Tunbridge Wells. (no relation to Frank Feltham) . This was followed 10 months later, on Wednesday 20th August 1930, when at 3.30 p.m. the Memorial Stone on the front of the building was unveiled by Dr. David Anderson, Esq., B.Sc. of Boley Hill, Rochester. The sermon was preached at 4.00 p.m. by the Rev. Thomas Handcocks of Cavendish Baptist Church, Ramsgate (formerly of Zion Baptist Church, Chatham) and a faithful supporter of the work in those early years. 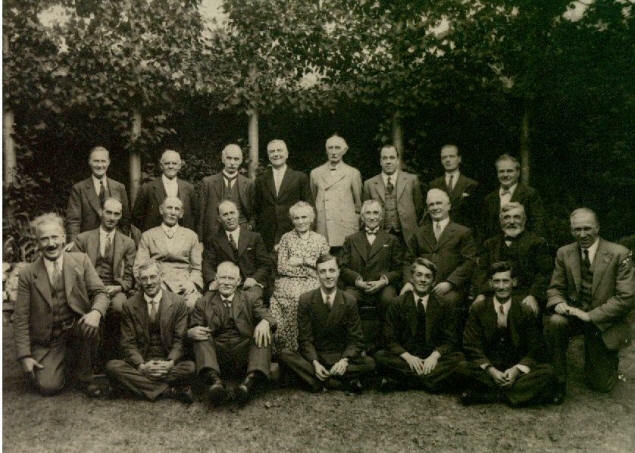 Reference must be made to a movement that was taking place in the Medway area, which came to be known as the Kent Christian Mission Churches Conference and served the Kingdom of God from, 1906 to 1966. Initiated by William May, a Scottish evangelist and leader of the Gospel Mission, Milton, Gravesend. As he ministered in many Mission Halls locally he sensed the need to bring these isolated congregations together for the ‘deepening of the spiritual life among the Christians and the extending of the Kingdom of God’. Following informal meetings attended by local Mission Leaders including Mr J Orwin and Mr B Diamond representing the Institute at Borstal. The Conference met at Strood Gospel Mission on Saturday 9th November 1906 at 3.30 and 6.15 p.m. with tea at 5.00 p.m., addressed by William May. One person serving The Conference is worthy of special note. Frank Feltham served as Secretary of Conference from 1922 to 1959, a period of 37 years. Some fascinating characters were prominent in this movement of God among whom we single out Messrs A.W. Ratcliffe of Maidstone, George Ratcliffe of Faversham,-Herbert G. Kerridge of Maidstone, the Wicker brothers of Strood and a multitude of other ‘worthies’ whose Christianity was Bible based, Spiritually on fire and deeply practical. Prayer meetings were powerful, testimony meetings alive, open-air meetings and marches impressive and the fellowship an encouragement to the participating Missions. When Frank Feltham resolved to work for the outright purchase of the Institute as a place of Worship there were four men elected as Trustees who guaranteed the money. These were Mr W.R. Craske, Mr L. Booth, Mr Bull and Mr CJ Sims. Mr Feltham soon encountered serious opposition from certain groups in the village who wished to retain the Institute for general social activities. Quite a battle developed with the small congregation versus the local people who generally frequented the White Horse public house. Mr Feltham was invited to a round table conference in a house along the Borstal Road where a number of influential people suggested to him that he would be advised to call off his action to buy the Institute and open a fund to build other premises for a non-denominational chapel. He faced this group with a determination and resolution that asked for no compromise and expected no favours. He told the meeting that their advice was contrary to the will of God and that the Christians would fight on to secure the building. He walked home with a local grocer who quietly tried to persuade him to back down. "Mr Feltham if you will open a building fund I will give you your first £10." Mr Feltham replied, "If you oppose the work of God then I will do no further business with you." A public meeting was called, to be held in the lower hall of the Institute and those who wished to keep the hall for social activity brought all the people who were in the White Horse. The Christian congregation met in another room to pray. The chairman of the meeting asked Mr Feltham to accept their decision to retain the Institute but when a vote was taken it was a stalemate. A period of two years went by and Mr W.R. Craske took Mr Feltham to one side and advised him that as the furore in the village had died down it would be a good time for the congregation to make a fresh bid, which they did. Once the application was made for the outright purchase, the Charity Commissioners were consulted and the building put up for Sale to the highest bidder. The Christian congregation knew that they could easily be overtaken by any wealthy group wishing to open a hall for recreation or as a cinema etc. For 21 days notices were posted on the Institute, the notice boards of St. Matthew's Parish Church and Rochester Cathedral that the building was for sale and bids were invited during which the Christians held daily prayer meetings that no other application would come. None came. Within the agreement of the purchase it was stipulated that from the purchase price £1,000 would be allocated for the erection of a Village Hall in order to compensate for the loss of the Institute. Now that the building was the property of the Worshipping Congregation plans were made to use it as a place of Worship. On Saturday 19th October 1929, (As has been mentioned) Lady Sharp of Maidstone opened the door to Borstal Gospel Mission Church. Eighty years after Mrs. Tong opened her home for Prayer and the Proclamation of the Gospel to the families around her the Lord had brought into being a Free Church, which was to expand and grow into the future. Church planting is not accomplished overnight! Frank Feltham had realised the vision given to him back in 1912 and he continued as Honorary Pastor for 41 years until his retirement in 1961 and his move to Tankerton. Having lost his Insurance Agency whilst away on war service he applied for the work of School Attendance Officer under the K.E.C. and believed that God answered prayer in his appointment as this gave him the freedom to combine daily employment with Pastoral responsibility. He had greatly admired the Ministry of the Revd. George Anderson Miller, the founder of Rochester Baptist Church. He was the first person to he baptised in the new baptistry at Rochester and Mr Miller had said to him in 1919, "My boy, you go to Borstal and establish a Baptist Church." Towards this he worked although he did not see the fulfilment in his lifetime. Being convinced that it was the will of God for a baptistry to be installed, Frank Feltham invited the congregation to pray for one week and said that he would go out in faith during that week to see this goal realised. Some opposition was encountered among the congregation. He recounts how that on the first evening he stood in prayer under the clock at Northgate in the High Street. The strong conviction came to him – ‘Call on Dr. David Anderson, B.Sc. at Trevine, Boley Hill. He made his way up the drive and rang the bell. The maid answered the door, took his message and returned to say that Dr. Anderson had just finished his evening meal and would be pleased to see him. As they shook hands in the lounge Dr. Anderson said, "Tell me about the work at Borstal and how I can help you." Having listened intently he said, "You shall have your baptistry. I will write you out a cheque for £100 and whatever more you need will follow in due course." When this was announced the following Sunday morning the congregation stood and sang the doxology and Mr. Harold Hart, the S.S. Superintendent, who had opposed the idea, put his arm round Frank Feltham and with some emotion said, "My boy you must have been right." Over the years a number of Memorial Tablets were unveiled in remembrance of various people. e.g. Sunday School Superintendent 33 years. Unveiling of War Memorial Tablet (for old Sunday School Scholars, Band of Hope Members and others associated with the Mission) 14 made the supreme sacrifice but 71 returned to the village after their service. It must be said that the premises which were purchased comprised the main hall and a hall above, a lawn along the left-hand side with a garden shed, gardens down the right hand side with steps leading down to the main door of the lower hall. A steep staircase in the right hand corner connected the two halls and there were outside toilets at the back. The main hall was then divided into three separate rooms. There was a boiler house and small kitchen. The old entrance we still retain upstairs. During 1934 extensive building work was undertaken beyond the pulpit end to provide new stairs, two vestries, an organ loft, downstairs toilets and electric lighting throughout the premises. In 1940 the small hall was built with a third hall where the garden shed had been. French windows opened out onto a small lawn from this new hall. Central heating was installed. In 1947 an Aeolian Organ was rebuilt and installed by a Baptist Minister. This organ had been the personal property of Sir Frederick Bridge, organist at Westminster Abbey. The total cost including the premises and everything listed amounted to £3,420. Most of the work was carried out by Walter Edmonds, a member of The Vines Congregational Church, Mayor of Rochester, keen Temperance worker and Sunday School leader. Through the years one event captured the attention of the whole village It was the Annual ‘Treat’ held in Craske's Meadow. All the children from the Mission would be given either a parasol (girls) or a flag (boys) and would march behind the Sunday School Banner led by a Band. The village turned out to see them go up the street to the paper shop and turn left down an avenue of trees into the meadow at the bottom. All the afternoon there were races, maypole dancing, stalls, entertainment by the local Scout Troop and much more. In the evening all the children were given Chinese Lanterns with a lit candle inside which were held aloft on a bamboo stick. This procession was like a fairy-land as the children returned to The Mission. A very helpful activity organised by the Institute and maintained the Mission until 1966 was The Sick Club. Members visited the Mission on a Monday evening to pay their weekly subscription of 6 pence or 9 pence. 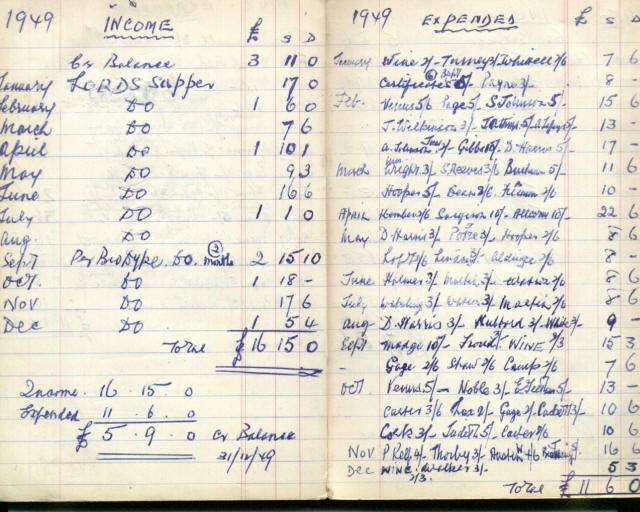 When a member became ill and produced a doctor's certificate he would receive 10 or 15 shillings a week for 10 weeks and then half that amount for another 10 weeks. At Christmas-time there was a Share-out of the surplus funds to the families out of work. In those days there was no social security, no unemployment pay, simply nothing and this money was a great help. This gave the Mission a very worthwhile contact with many families in the village. In those days the Communion Fund offering was used to help people in genuine need and especially at Christmas time. 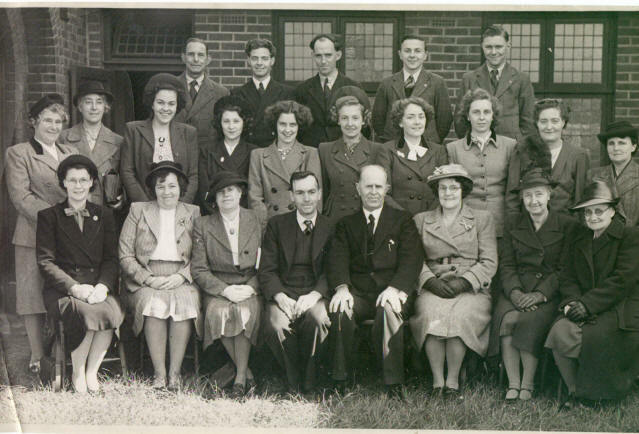 For the Centenary Celebrations in 1949 a month of special Services was planned with visitors from the Church of England, the Methodists, the Free Missions, the Baptists and others. A Sunday School Staff of 23 reveals the health and vitality of the work. Through the years there have been some wonderful characters associated with this church. We have referred to a number but also include Arthur and Clara Jeffery (Nee Austin). These two supported Frank and Nellie Feltham through everything and many remember their home at No. 4, Prospect Place, Nashenden Road with its large kitchen and flower gardens. Mrs Ada Browning was a choice soul with her strong faith in God and quiet unassuming way. She helped many teenagers in the Christian Endeavour Society. Miss Ivy Loft from 1, Gordon Terrace, Rochester taught in Borstal School for many years (although untrained) and founded The Girl Guide Company in Borstal in 1916 which continued for many years. Ivy became S.S. Supt. and gave herself to this work with total dedication. Bert and Madge Dyke of Mount Road were loyal workers. Madge was Mission Organist for 26 years and Bert was in S.S. and later a Sunday Afternoon Bible Class. Frank Feltham's mother and sister Ethel were very keen workers for years. Ethel led the `Women's Meeting for over 50 years. The list is endless of these beloved saints who in their time loved and served their Lord.